American Airlines told the Department of Transportation its policy of not informing passengers who gave up their seats on oversold flights that they would have to pay $30 to redeem vouchers for future travel was not unfair or deceptive. That clever dodge was based on the fact that the practice wasn't explicitly forbidden. To her credit, Rosalind Knapp, the deputy general counsel of the DOT, didn't buy it, even when American went on to brag that its its record of compliance with consumer protection regulations is "excellent." The good news for passengers, however, ends there, short of the kind of schadenfreude they might experience if the airline was whopped with a big 'ole fee. What exactly will American have to ante up? Not the $90,000 being reported in other publications and on television, but exactly half that. That's right, just $45,000 payable to the USG makes American square with the enforcement department of the DOT. The other $45,000 will be forgiven if the airline spends the next year actually carrying through on promises made to passengers bumped off flights. Let's do the math. Over the course of three and a half years, American Airlines issued 250 travel vouchers a day subject to the $30 redemption fee. A quick check with the calculator shows that more than three-hundred thousand passengers found themselves with bait and switch tickets. So American made far more money carrying out this practice than what it is now paying as punishment. "Its not the lowest or the highest," Bill Mosely, a spokesman for the Department of Transportation said of the penalty. Earlier in the month, for example, Virgin America was fined $40,000 for hiding additional fees in the small print of its online sales promotions. 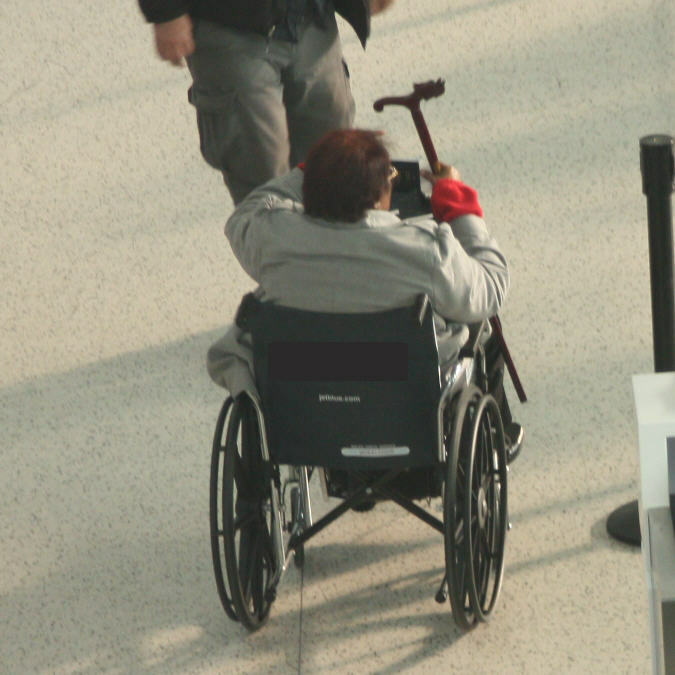 (Like American, it must only pay half, provided it behaves for the next year) Delta Air Lines by contrast was fined $2 million for failing to promptly accommodate the needs of physically handicapped passengers. These violations, Mr. Mosely told me are not comparable to the ticket price switch-eroos of American and Virgin because "discriminating against the disabled are serious violations that draw much bigger penalties." You won't get an argument from me on that score. 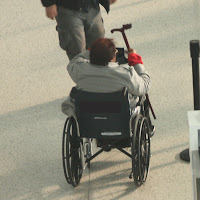 Leaving passengers in wheelchairs abandoned on jetways is orders of magnitude more reprehensible on an individual level. However, I will grumble with the government response to American's infractions for two reasons; the penalty doesn't reimburse a single passenger deceived by the airline. More significant, thousand dollar punishments for activities that yield the airline millions can't seriously be expected to prevent future bad behavior and that's the message the paltry DOT fine sends to airlines. The next naughty idea to unfairly separate passengers from their dollars will likely look different from the last, so that airlines can once again say, as American did, unfair and deceptive are subjective terms. Just another example of government enabling big business and providing window dressing for "we the people". It really is a rigged game. e-tickets. When I went to the airport, the counter agent wouldn't take the vouchers. Many wasted hours and phone calls later we had to mail the vouchers to somewhere in Miami. 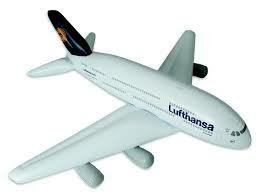 Prior to that I had used vouchers from other airlines many times, on-line, without any problems. My solution was to stop flying AA for personal travel. Problem solved. Surely you do not think that we need to explain EVERYTHING to our passengers? Are they incapable of reading fine print? As you can see from how we do things at Thromby Air, credit vouchers can be a lot of fun. (Love you blog, by the way). They do an amazing job coming up with new and innovative ways to infuriate their customers. Not only do they charge a fee to redeem a "good as cash" voucher, but they force the customer to go to the airport to use it.